Home / Blog / The Large Yacht Cluster facts – fake news or just a cluster of untruths? An incredible document has landed on my desk.. It is a policy position paper underpinning an article in the European Timber Trade Federation (ETTF) Summer 2018 Newsletter (a favorite read of mine), which covered the views of a so-called ‘Large Yacht Industry Cluster’ regarding EU, US and Australian legislation on illegal timber. A similar article was also recently published by the International Tropical Timber Organisation. Having never before encountered the Large Yacht Industry Cluster, I made enquiries and discovered it is an ad-hoc group of commercial interests working to weaken the enforcement of EU, US and Australian laws prohibiting illegal timber, particularly in relation to the Myanmar teak their members desire. 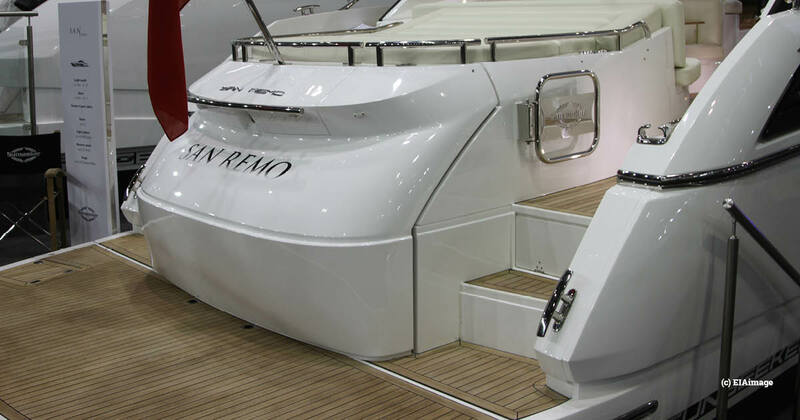 Current ‘members’ include the International Council of Marine Industry Associations, the Superyacht Builders Association, the ETTF and the national timber federations of Germany, Spain, Denmark and the Netherlands, along with the Belgian textiles, wood and furniture industry federation. The Large Yacht Cluster’s position paper is a classic call to action seeking special treatment for companies serving the whims of the super-rich – the usual patrons of such vessels. But this brazenly shameless effort to weaken rules agreed by the democratic representatives of EU, US and Australian citizens is not what is incredible about the document – such lobbying for favors for billionaires is normal in our world; no, the incredible thing is that the biggest timber trade federations of Europe have endorsed this document, one riddled with factual errors and misleading assurances. They should know better. Just as incredible is the fact that the superyacht and marine industry federations appear to be failing to ensure their members are informed of the liabilities facing them even as they conspire with timber traders to undermine the rule of law. This is not true and could be interpreted to be a willful lie on behalf of the timber federations – which know perfectly well this is not true. Under the European Union Timber Regulation (EUTR), no certification scheme can be entirely relied upon to fulfill the due diligence obligations of operators it regulates. The EUTR requires operators to conduct due diligence; where certification schemes exist for the timber concerned, these can form an element of that due diligence procedure. However, operators cannot rely entirely on certifications to claim they have conducted due diligence. Many certification schemes do not provide sufficient information nor sufficient checks on specific consignments of timber to be able to comply with EUTR obligations. The suggestion they do – by the ETTF and a range of European timber federations – displays, at the very least, a worrying lack of understanding as to how the EUTR works and the obligations of their members. 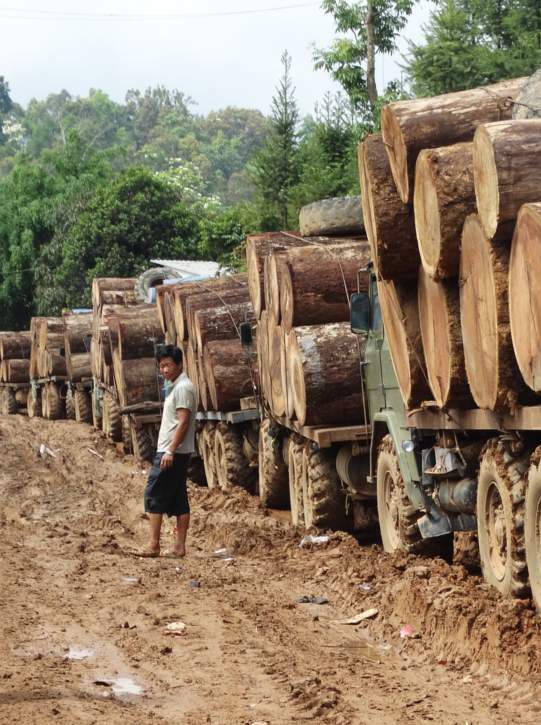 To make matters worse, Myanmar teak has never been certified by either the Programme for the Endorsement of Forest Certification or the Forest Stewardship Council – Myanmar has not allowed external scrutiny on its out-of-control forestry sector for decades. As such, the suggestion that companies rely on these schemes for Myanmar teak is more a fantasy than a workable recommendation to its members or regulators. This is a complete failure of duty of a trade federation in helping members understand, let alone navigate, their liabilities. In the case of ETTF, such advice contradicts its own EUTR Due Diligence System, the Risk Assessment section of which states “For all products where risks cannot be considered to be mitigated by certification, further risk evaluation shall be conducted”. This is simply not true and displays a staggering level of ignorance or willful misrepresentation on behalf of the ETTF and the other national timber federations endorsing this statement. Myanmar has indicated its interest in entering Forest Law Enforcement, Governance and Trade Voluntary Partnership Agreement (VPA) negotiations with the EU. While a range of processes and institutions have been created in Myanmar and work is underway toward such preparedness for VPA negotiations, the country still has a lot of work to do and has not entered such negotiations, with no date has been set for such negotiations to begin. The ETTF and some members have been involved in some of the process surrounding the VPA and should be well aware of this. Untruth #3: The Large Yacht Cluster position paper repeatedly characterises enforcement of the EUTR (and, potentially, other illegal timber legislation) in relation to Myanmar teak as “a ban on teak”. The truth is there is no “ban on teak” in place anywhere on Earth. Nor is there a “ban on Myanmar teak” in place anywhere on Earth. That the ETTF and national EU timber federations suggest there is indicates either utter ignorance of how the EUTR works or a cynical intent to mischaracterise and politicise enforcement of it. As with all timber of all species from all sources worldwide, Myanmar teak can be legally placed on the EU market where the risks of it having been harvested or traded in violation of relevant laws have been assessed to be either indiscernible or, where identified, effectively mitigated. 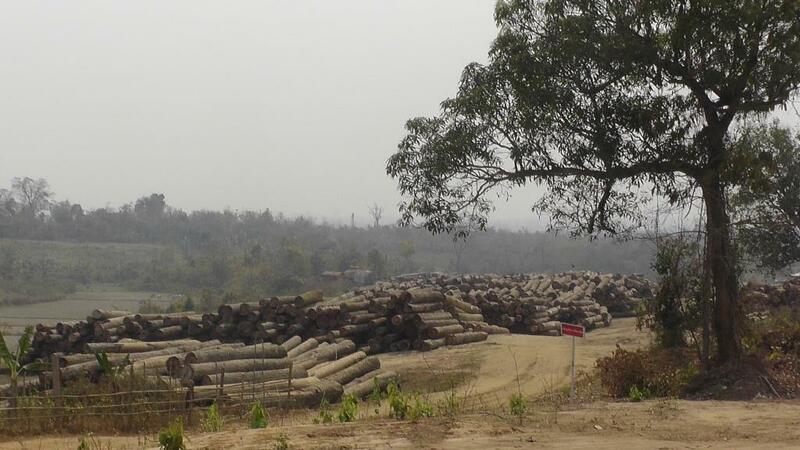 EIA agrees it is not currently possible to legally place teak from Myanmar on the EU market – but this is not because there is a “ban on teak”, as the ETTF and member federations allege in their ‘call to action’ for weaker EUTR enforcement. Myanmar teak is currently not considered legal to place on the EU market because no EUTR enforcement official has yet encountered any such teak accompanied by information that sufficiently assesses provenance, let alone identifies or mitigates the risk of illegality associated with that provenance – risks known to be significant in Myanmar’s teak industry and its forestry and timber sectors. In October 2016, we submitted nine cases under the EUTR against importers of Myanmar teak – the first of 15 cases on Myanmar teak we’ve filed in seven countries to date. All cases known to have been concluded have been found in EIA’s favour and we know of no reason to indicate those cases still outstanding would conclude differently. We submitted the cases due to a staggering gap between the legal requirements of the EUTR and the ongoing practices of long-time teak traders buying from Myanmar’s Government and also in recognition of the equally staggering risk of illegality in the production and supply of that wood. 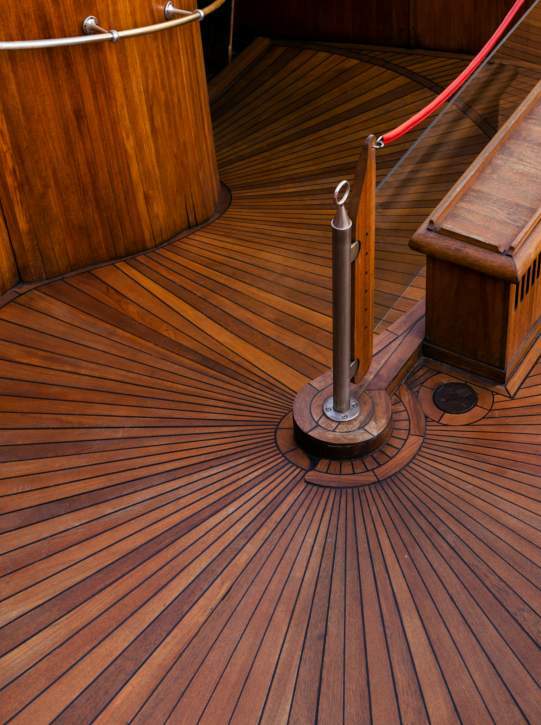 In 2017, we submitted information to US authorities detailing violations of the US Lacey Act by US distributors of superyachts made in the UK using Myanmar teak which had been traded in violation of the EUTR, seeking action in what would be precedent-setting cases. We have sought to inform both the timber and the marine industry of the liabilities they face in lieu of the legal provisions in force and the risks in the Myanmar teak sector, to help them help their members to comply with the law. While some of our advice has been taken on board, we see little evidence that marine or timber federations are actively informing members of the risks and more evidence that federations continue pleading for special exemptions when law enforcement effects their interests. 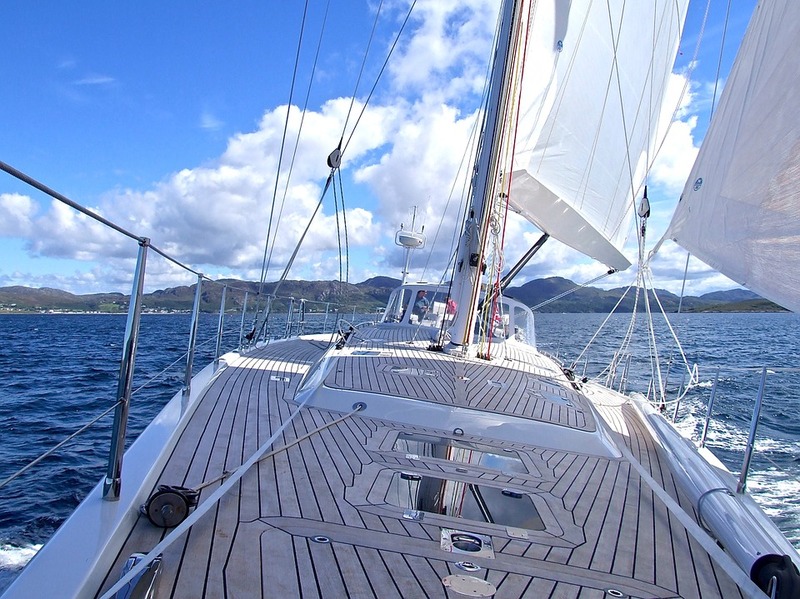 The Large Yacht Cluster document ends with a call for enforcement agencies to refrain from “unconstructive measures or harmful penalties to those that do their utmost”. This suggestion completely fails to grasp the principle of due diligence under the EUTR, while overstating the severity of the penalties in force. No company in the EU has been fined, had its director imprisoned or products seized following EUTR enforcement for Myanmar teak cases. Those which have been found in violation of the EUTR have been told not to break the law again, with the threat of further sanction should they willfully do so. The message is clear to companies, and should be to the ETTF: if you have not identified your full supply chain or mitigated risks relative to it, you only have one legal option under the EUTR – don’t place the timber on the market. It does not matter if companies have “done their utmost” in seeking to do due diligence. EIA has seen how companies “do their utmost to do due diligence” and succeed in identifying fundamental risks they cannot mitigate, only to then willfully place the product on the market regardless. Such acts apparently occur under some delusion that the exertion of the effort mitigates the risks to them, if not to the timber itself. Perhaps ETTF and the marine industry should instead do their utmost to ensure they understand the law, that their members know the laws to which they are subject and to invest more in pressuring Myanmar for reform than in seeking to undermine the rule of law in Europe and other responsible countries.